Picture dated probably in 1930s in Moscow of Yossif Vissarionovitch Dzhugashvili known as Joseph Stalin ("man of steel", 1879-1953). The existence of a historical agreement between Adolf Hitler and Josef Stalin to facilitate the start of the Second World Warand divide much of Central and Eastern Europe between them is a painful thorn that threatens Vladimir Putin’s attempts to rehabilitate Soviet and Stalinist history through denials, blatant falsification and brute force propaganda. Deep in the night of August 23, 1939, Hitler’s foreign minister, Joachim von Ribbentrop, along with his Soviet counterpart, Vyatcheslav Molotov, and Josef Stalin himself, concluded a neutrality pact which, in addition to committing to non-aggression between Hitler and Stalin, forbade either country from assisting third countries from attacking the other. While not completely uncommon, the additional secret protocols that were negotiated in Stalin’s office that same night, would irreversibly set in place the conditions that would directly facilitate the start of the Second World War. The secret protocols of the Molotov-Ribbentrop Pact included the physical division of Eastern and Central Europe between Stalin and Hitler. Maps, included as part of the protocol, show Stalin’s dreaded blue crayon and signature, dividing Poland, and hiving off Latvia, Lithuania and Estonia for the Soviet side. 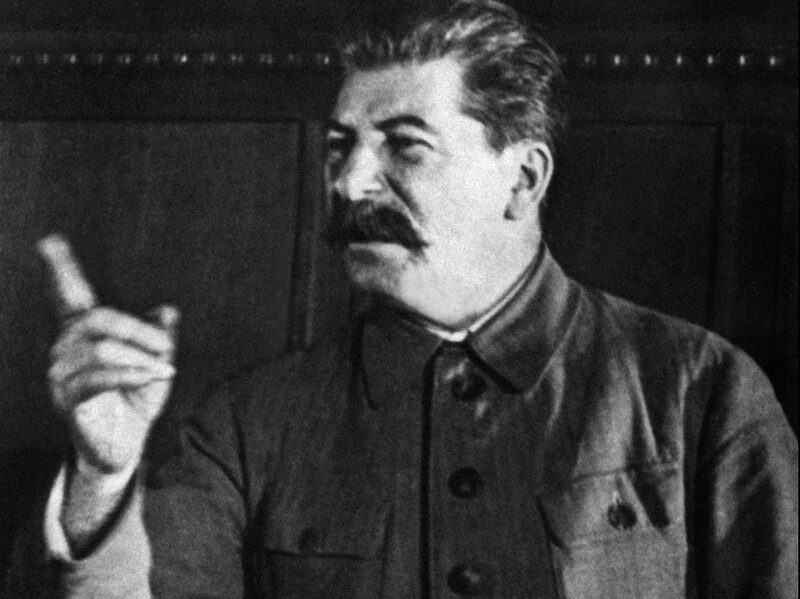 With the understanding that Stalin would take the Baltic States and the eastern half of Poland, including a promise not to interfere in Nazi plans to invade Poland or any other states not covered by the Nazi-Soviet Pact, Hitler was free to unleash his forces on western Poland and the rest of Europe. Shortly after the Nazi invasion of Poland — just enough time to avoid any western suspicions of collusion — Soviet forces invaded eastern Poland. With that, the start of the one of the worst conflicts in human history began. In 1940, using the same tactics that mirror those used in Crimea in 2014, fraudulent “referendums” were staged by Soviet forces to illegally annex the Baltic States. Waves of terrifying repression followed in both Nazi and Soviet occupied territories of Europe. In the Baltic States, tens of thousands of men, women and children were deported to distant Siberian GULAG slave labour camps. Political leaders, teachers, farmers and entrepreneurs were rounded up; many were tortured and executed. By the summer of 1941, the non-aggression pact had collapsed, as Hitler’s Blitzkrieg overwhelmed forces along the Baltic coast. During the Soviet retreat, tens of thousands of Estonian men were forced at gunpoint to mobilize with the retreating Red Army. The kidnapped Estonian men were sent to slave labour camps, where 1/3 of them died in the first months of their captivity. The remainder were deployed primarily as Soviet cannon fodder on the Eastern Front. In the Baltic States, the occupying regimes changed while the dread of repression and tyranny accelerated. Many young men, seeking to restore the independence of their nations, risked taking up up arms against the Nazi occupiers. When the Nazi occupation of the Baltic States buckled in the fall of 1944, after Allied forces began their liberation of Western Europe, the fear of renewed Soviet occupation of the Baltic States compelled many to resist with the hope of restoring independence. In expectation of new waves of Soviet repression, hundreds of thousands fled their homes, risking attacks by both German and Soviet submarines to cross the stormy Baltic Sea. Others fled on foot, hoping to reach liberated Europe. Nearly 100,000 Baltic refugees continued their journey and arrived in Canada, where they settled and help build the Canada we know today. Those who weren’t able to flee were forced to endure unspeakable repression, several waves of deportations, and forced Sovietization of their people and nations. Unlike Western Europe, where the Allied liberators helped rebuild nations and their democratic institutions, Stalin and the Soviet Union remained. They pillaged and crushed the subjects of their occupation. The people of The Baltic States, Poland, Ukraine, Romania, Hungary, Czech, Slovakia and many others, did not see the full restoration of their independence, freedom and democracy until 1990-91. The world must never forget the truth of how the Second World War began or how it ended. Odious attempts to turn Canadians against Canadians of Baltic and Ukrainian heritage using false and hateful historical narratives need to be recognized and rejected. What is certain is that Vladimir Putin will continue his relentless attempts to deny the Soviet occupation and repression of these nations in efforts to undermine their independence and inject insidious doubts about their legitimacy. All this without Magnitsky legislation???? or are you going to take credit anyways? 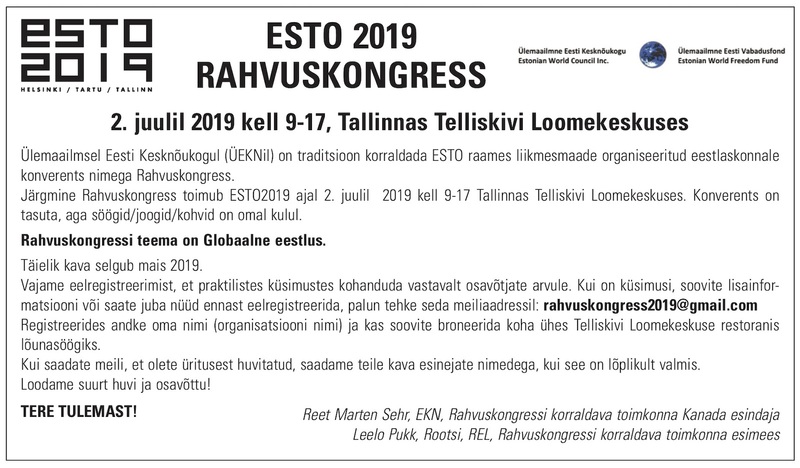 See kommentaar on piisavalt idiootlik, et kvalifitseerida kas teid autoriks või ühe oma võrdselt ignorantse Korpi venna. I am not a male nor have "vennad" in my "Korp!" Must hurt that Magnitsky Legislation in the USofA had much if any influence. This piece provides a very important reminder. 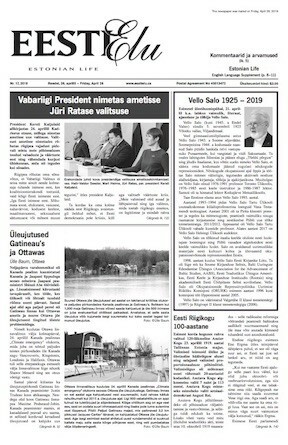 Great to see Estonian issues getting such prominent and constant exposure.